Hollywood Dealmaking has become the go-to resource for new and experienced entertainment attorneys, agent trainees, business affairs executives, and creative executives. Entertainment attorneys and Hollywood insiders Dina Appleton and Daniel Yankelevits explain the negotiation techniques and strategies of entertainment dealmaking and detail the interests and roles of producers, writers, actors, directors, agents, and studio employees in crafting a deal. This new edition captures the dramatic changes over the past five years in the film and television industry landscape, with two new chapters: Reality Television details the sources of revenue, syndication possibilities, and format sales of these shows as well as the talent deals that are made and the Internet/New Media chapter delves in new digital formats such as mobile phones, game consoles, video-on-demand, and web-based apps, and explains where today's revenues are generated, where the industry is headed, and talent negotiation issues. All the ins and outs of negotiating are explained, including back ends, gross and adjusted gross profits, deferments, box office bonuses, copyrights, and much more. This easy-to-follow reference is packed with expert insights on distribution, licensing, and merchandising. The book's invaluable resource section includes definitions of lingo for acquisition agreements and employment deals, twelve ready-to-use sample contracts, and a directory of entertainment attorneys in both New York and Los Angeles. 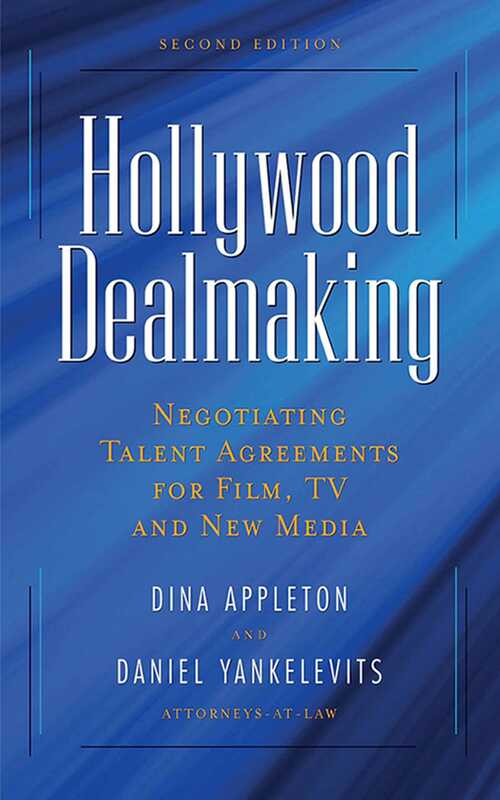 In Hollywood Dealmaking, readers will recognize the key players in the process, understand the "lingo" of crafting deals, learn how to negotiate agreements for the option and purchase of books and screenplays, be able to negotiate employment deals for all members of a film or television crew, understand payment terms and bonuses, and be able to register copyrights in scripts and other literary works.